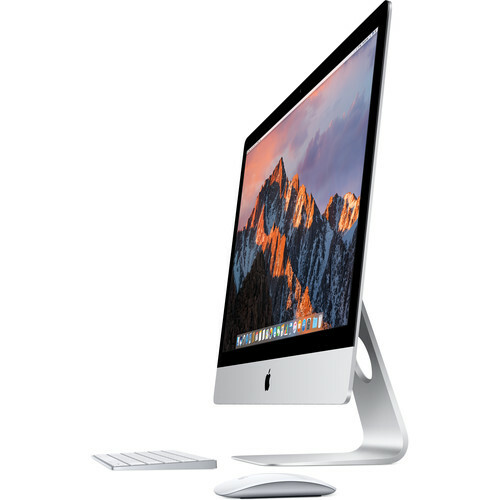 Apple weds high-res 5K visuals into its sleek, 5mm thin 27" iMac with Retina 5K Display. 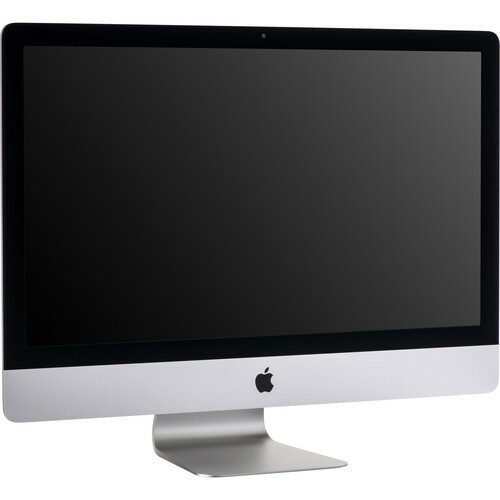 With a 5120 x 2880 screen resolution, this iMac provides 1 billion colors and 500 nits of brightness, which is 43% brighter than the previous model. The Retina 5K display also features a wider color gamut. Using a P3-based color gamut, the Retina 5K display provides a larger color space that more equally represents red, green, and blue, as compared to standard sRGB displays. And with more available colors, the images will appear more vivid and reveal greater detail, with more balance and precision. The iMac's processor has been upgraded and now houses a 7th-gen Kaby Lake 3.5 GHz Intel Core i5 Quad-Core processor that can be overclocked up to 4.1 GHz, as well as 8GB of 2400 MHz DDR4 RAM. 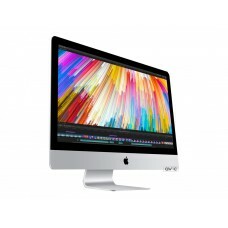 Visuals are powered by a dedicated AMD Radeon Pro 575 graphics card with 4GB of vRAM, and for storage, there is a 1TB Fusion Drive. 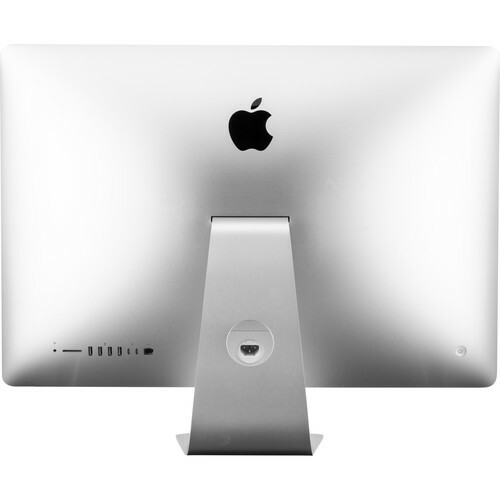 Apple's 27" iMac with Retina 5K Display operates using 100-240 VAC at 50-60 Hz and includes an Apple Magic Keyboard, an Apple Magic Mouse 2, a Lightning to USB cable, and a power cord. 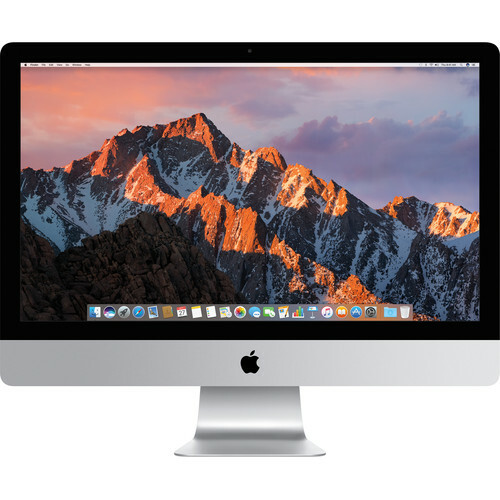 The installed operating system is macOS High Sierra, and protection is provided by a limited 1-year warranty, which can be extended using AppleCare.